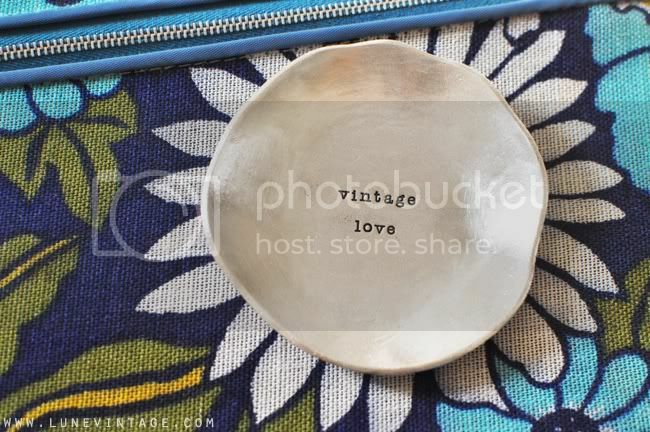 I was so happy to find this beautiful pewter keepsake bowl in the mail today from fellow Indie Business 3.0 teacher Lisa Leonard (blog & shop). Its color is so beautiful, it glows. Thank you so much Lisa for being so lovely and generous - you've made my day! Unexpected surprises are the best. I hope someone brightens your day today and starts it off right. Have a great weekend everyone. If I'm lucky, I'll have a new little girl to introduce you to very soon.